British boxing hit the peak of its power this weekend with Tony Bellew becoming 13th World champion from Britain. Bellew saw off the challenge from Congo born boxer Ilunga Makabu and knocked him out in third round to win WBC Cruiser-weight title. Bellew started the fight in great fashion putting Makabu in instant pressure but Makabu replied with a stunning left flooring Bellew in first round. But fighting in-front of his beloved goddison park stadium he came back stronger in second half knocking Makabu out to seal his fairy tale ending. Bellew now became thirteenth world champion from Britain making it the most historic era in british boxing. Yesterday Ricky Burns also won world title beating Michele Di Rocco. Bellew vs Makabu Live Coverage: The fight will be taking place on Sunday night, 29th May 2016 at the Goddison park and the SkySports 1 coverage will begin at around 06:00 pm UK time with several prelimnary and undercard fights scheduled before the main-event between life-long everton supporter Tony Bellew and Congo-born Ilunga Makabu. 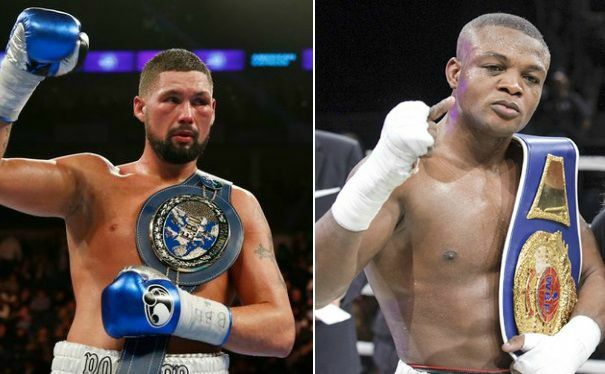 Tony Bellew has had a decent career and now is the chance for him to finally grand one top belt in the cruiserweight division with vacant WBC title on the line as he takes on African boxer lunga Makabu who has only lost once in 20 professional fights but that defeat came in his very first professional fight and since than he has gone from strength to strength winning 19 consecutive fights on venues around the world. He might have a surprise or two in store for Bellew but bookmakers has the brit firm favourite going into the big night. Although Makabu don’t have any big names on his C.V apart from vatern Glen Johnson who he defeated back in june 2014 in his native Congo. Tony Bellew on the other hand has been fighting some decent names since his defeat against Adonis Stevenson back in November 2013.